Fellow (now former?) SNL'ers Jason Sudeikis and Andy Samburg sang backup. Amy Poehler and Will Forte also took their turn as rockstars. hey gold statue guy, quit photo-bombing. Amy Poehler got in on the action too, singing "Bad Reputation"
Don't forget about WIll Forte! 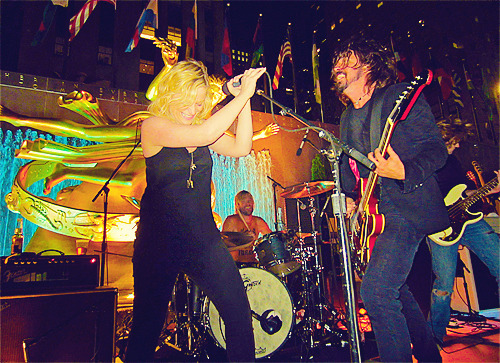 He covered Black Sabbath with the Foo Fighters.